HSTY completed its first Teachers Training course (level 1) in Ganeshpuri, India on 29th Jan, 2018. 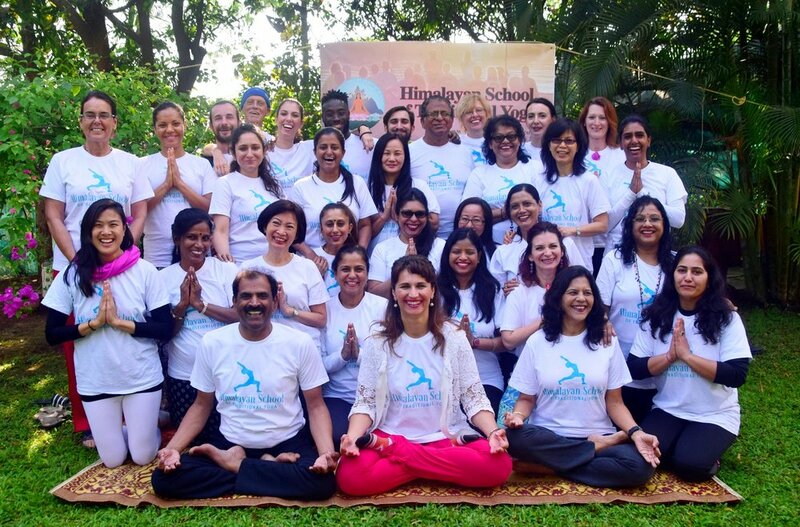 Over 10 days, 28 students from 8 countries were trained in various aspects of traditional yoga - asana practice, pranayamas, yoga theory, yoga philosophy, teaching methodology, anatomy & physiology and several other aspects. The yoga training was held in the midst of pristine nature in the homely Fire Mountain Retreat Centre in Nimboli, near Ganeshpuri. Due to the location being a spiritual power centre, the group also had a unique opportunity to visit powerful spiritual spots in and around Ganeshpuri, experience a session of Awakening Yoga Nidra conducted by Devi Mohan, several guided meditations from Yogacharya Sanjay and enjoy various sessions of chanting and bhajans. The course was conducted by an experienced faculty team comprising of Devi Mohan, Yogacharya Sanjay, Usha Laksminarayanan and Dr Gajanan worked hard to share their rich experience and knowledge with the budding teachers. The course was intense with a 10-11 hour daily routine. Through group practice and study, the group bonded well to form a global family of traditional yoga. The program ended on a high with a special video message from Brahmarishi Mohanji congratulating the participants and inspiring them to move forward with conviction and purpose. This being Level 1 of the Teachers Training course, the students will need to go through Level 2 as well, before they can be fully certified as teachers. Biggest HSTY Yoga class with Devi Mohan thus far! At the Bor Lake Retreat with Mohanji 16 - 22 Nov, 2017 Devi Mohan conducted biggest HSTY Yoga sessions till present - 140 people breathed as one!